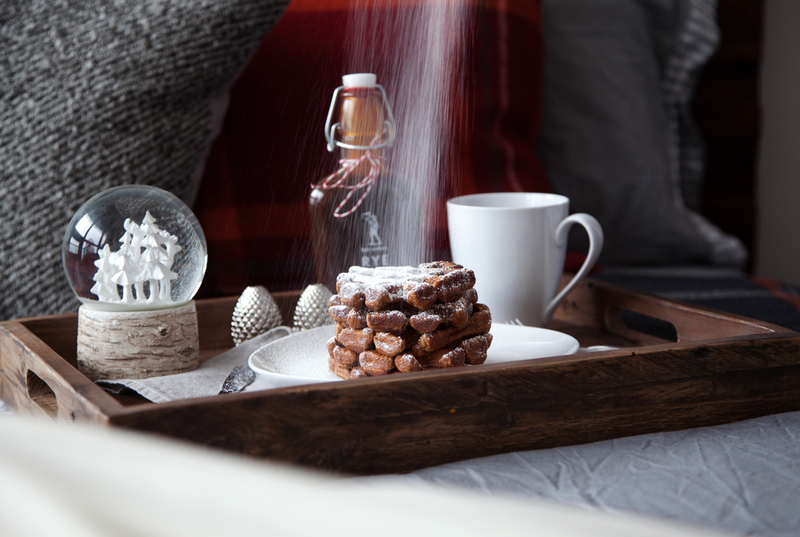 the winter holidays are the perfect time to cozy up at home & stay in bed.. orrrrr let someone else sleep in while you make them a special christmas breakfast in bed! 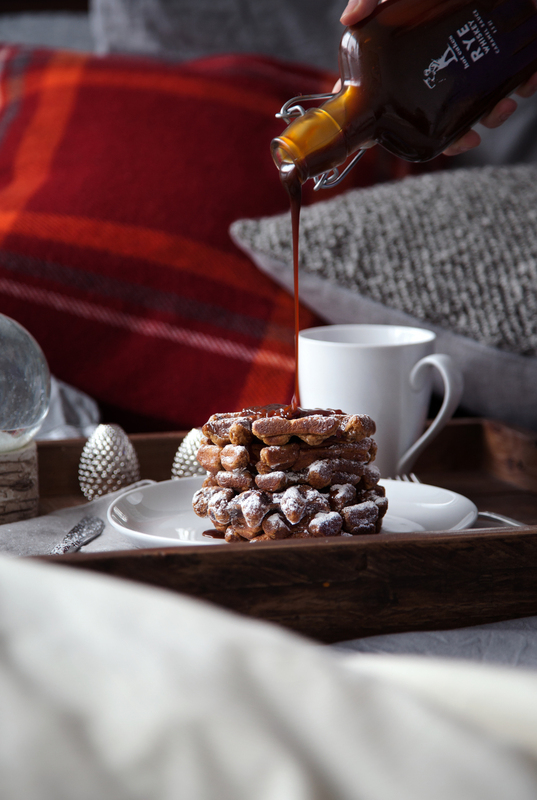 today on west elm's blog front + main i am sharing my recipe for the perfect gingerbread pumpkin waffles, topped with get your hot cakes rye whiskey caramel sauce & the coziest of breakfast in bed settings (faribault wool plaids & coyuchi bedding, yes please!). get the recipe here!